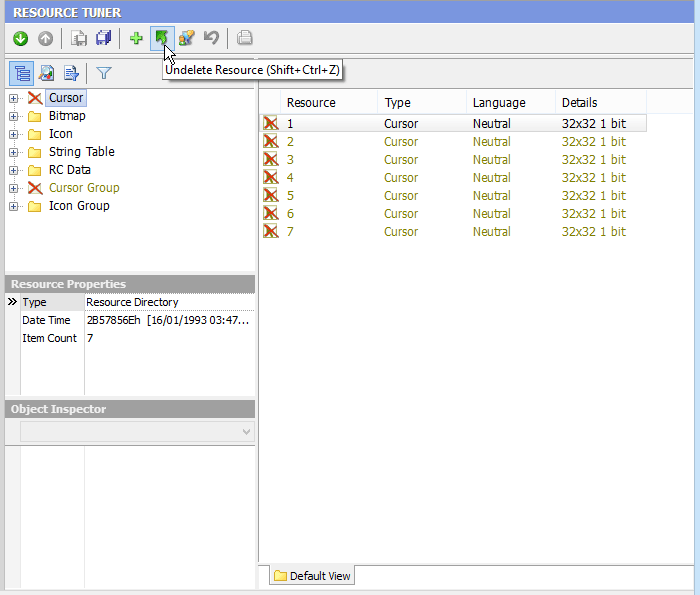 Resource Editor: How to Delete a Resource Item, Delete Resources, Delete Icon, Delete Bitmap with EXE Resource Editor. 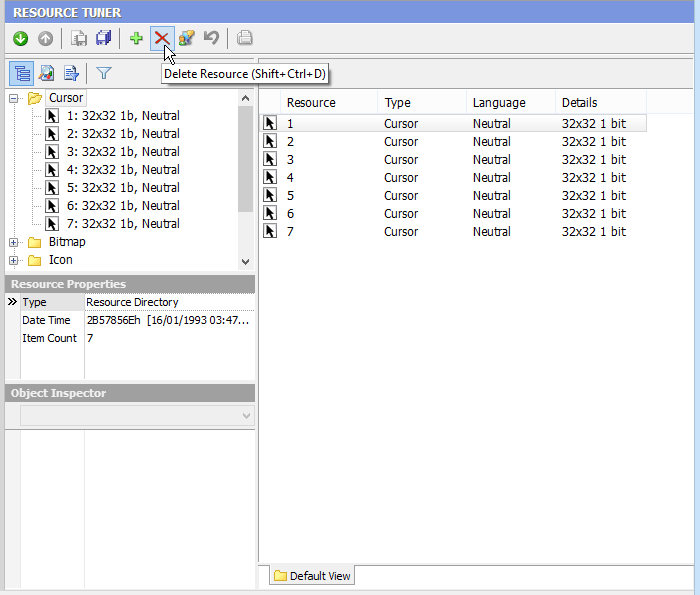 Resource Tuner lets you delete unwanted resources from executable files. However, "If in doubt don't touch " is a good rule of thumb. Select the item to be deleted (e.g. Cursor) in the Resource Tree view. Press the Delete Resource button on the tool bar or use the hotkey combination [Shift-Ctrl-D]. Items selected for deletion are indicated by a red x marker. To restore deleted items, use the Undelete Resource button on the toolbar or use the hotkey combination [Shift-Ctrl-Z]. Changes are made permanent only after you have saved them to the file. Select 'File' -> 'Save File' to save the changes you have made to the target file. If you need to delete existing resources, or add new ones for several hundred files, you are more than likely going to want some way to implement this with a batch file. Whenever large numbers of files have to be processed or to be accessible through batching, you need Resource Tuner Console. Give Resource Tuner a trial run for 30 days free! Once you try it, we think you will find it hard to go back to other resource hacking utilities. So if you decide to purchase it, it's only $49.95 for the Personal License. A Business license is available for $89.95.